Good Morning Dolls, I hope that you have a lovely day today. Today is Tuesday and I'm in a casual mood. When I started getting into fashion the first thing I did was buy a whole bunch of blazers, well because I mean they go with every outfit duhhh. This blue blazer was the first one I ever purchased and I literally wore it with everything, like everyday it was on my body. It feels good wearing this beauty again today with my new bf jeans from Zara that I told you about here. I hope you guys enjoyed. love it girly very professional! I really love your outfit! 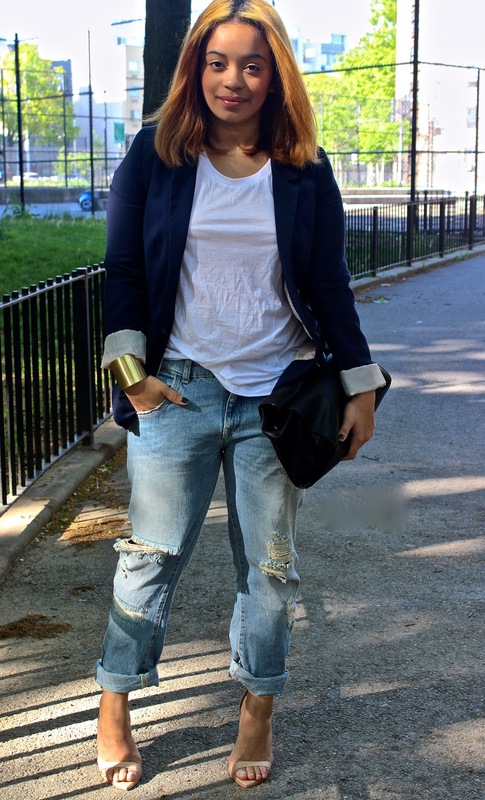 I am a big fan of boyfriend jeans and yours is definitly awesome! The combination with the shoes and the blazer is just perfect!